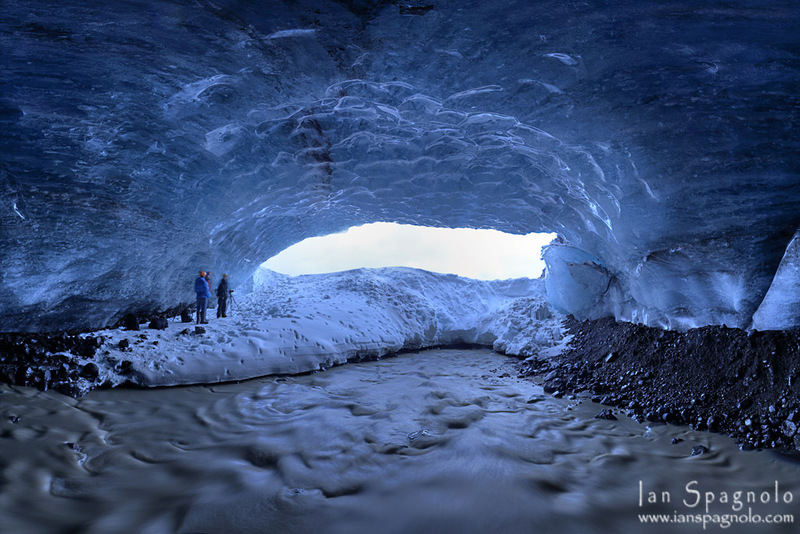 Standing in an ice-cave as large as this one is one of the most amazing views I have ever had. Like I have said, the play on light coming though the glass-like walls and roof is simply a sight to behold. What do you do when you see a river flowing under millions of tonnes of ice? You attempt a panorama while standing in the river of fast flowing water course! I was not 100% happy with the reflections and shape of the roof, so I got the shot above which I like much more. What do you think… which is your preferred viewpoint?